Editor's Note: In celebration of Women's History Month this March, the ICAA has invited several member practitioners to write about leading women in architecture and the related fields who have influenced and inspired the design world in a significant way. The third installment of this series was written by Brenna Decker, a project manager at Robert A.M. Stern Architects in New York City. Decker received her Bachelor of Architecture from the University of Notre Dame. The evocative renderings which represent Frank Lloyd Wright's work are easily recognized by anyone with a passing interest in architecture. But far fewer know of Marion Mahony Griffin, an architect in his office who was a key figure in developing that signature look. Her pioneering design work not only helped define the Prairie Style on three continents, but also proved in the early 20th Century that women could have a meaningful and impactful role in architecture and the related fields. Born in 1871 in Chicago, Mahony was only the second woman to earn a degree in architecture from MIT, in 1894. Upon graduation, she secured a job in the drafting room of Dwight Perkins, her cousin's architecture firm. At that time, Perkins shared office space with another young architect, Frank Lloyd Wright, who would later hire Mahony as his first employee. This was groundbreaking in an era when most architects refused to hire women, making it nearly impossible for highly-qualified women to gain experience in the field. Mahony then became the first female licensed architect in the state of Illinois. After a personal and professional rift developed between Wright and Mahony, she left his studio and married Walter Burley Griffin, a former coworker five years her junior. Mahony dedicated herself to developing her husband's practice. She convinced him to enter a competition to design the Australian capital of Canberra - which they won, largely on the strength of her beautiful drawings. The pair moved to Australia and completed a number of projects there, ranging from private residences to town plans, before moving to India in the 1930s to complete several projects at Lucknow University. Sadly, Walter died suddenly in 1937, leaving his wife to finish several of his commissions in India and Australia. Mahony moved back to Chicago shortly thereafter, where she lived until her death in 1961. She remained active within the profession - writing, painting, lecturing, and expanding upon her interests in botany and the natural world. While clearly a talented architect and artist in her own right, Mahony publicly and consciously chose to cast herself in a supporting role, first to Wright and later to her husband. While this can be perplexing and frustrating by today's sensibilities, her legacy remains an important reminder of the inherently collaborative nature of design, and a provocation for us to recognize the multitude of designers, engineers, and craftspeople required to bring good architecture to fruition. 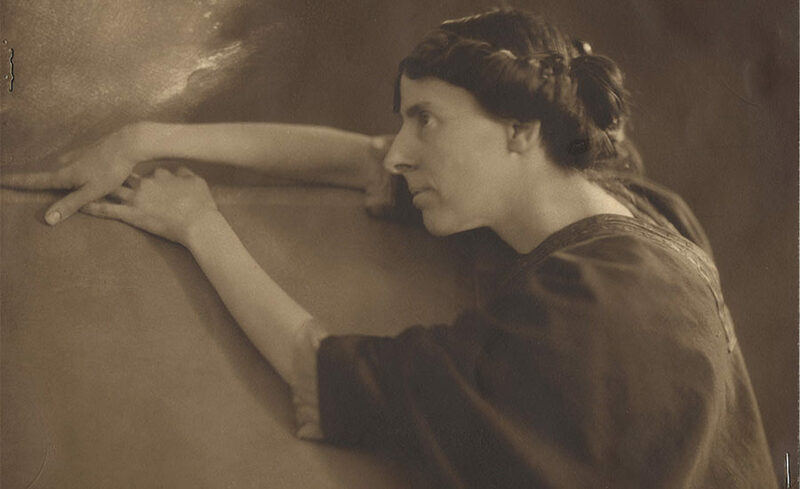 Marion Mahony Griffin and her work inspired successive generations of women who were passionate about architecture and design, opening the door for many to follow in her footsteps.